Subscribe to Total Guitar today and save up to 40%, plus get free delivey! That's 13 issues a year delivered straight to your door, often a week before it hits the shops, for only £21.49 every 6 months, that's £3.31 per issue! 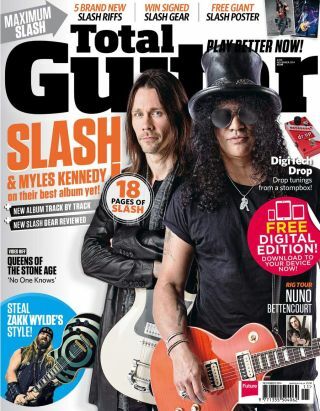 Subscribe to Total Guitar to save up to 40%! Alternatively, to order by phone, please call 0844 848 2852 and quote offer code TGRW1Z. This is a UK-only offer. However, readers outside the UK can still make huge savings off the cover price: overseas subscriptions are available here.